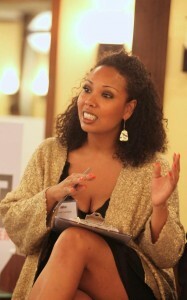 Jamilah Lemieux is the News & Lifestyle Editor for EBONY.com. In 2005, she created the award-winning blog, The Beautiful Struggler, where for more than six years, she published meditations on race and relationships. Jamilah has contributed to a host of publications including Essence, JET, Clutch, The Loop, Madame Noire, Black Enterprise Online, and Jezebel. She has appeared on a number of radio programs, including NPR’s “All Things Considered,” “The Michael Eric Dyson Show,” WBAI’s “The Spin,” and “Al B. In The Afternoon” on Philadelphia’s 900AM WURD. Jamilah is a Chicago native and graduate of Howard University.